Your Search for: "amazon" returned 61 items from across the site. Monday is Labor Day. 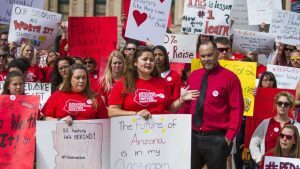 See accuracy.org/calendar for upcoming events. He said today: “The House of Representatives’ $716 billion Fiscal Year 2019 Pentagon spending bill is one of the largest since World War II. Spending at this level is both dangerous and unnecessary. It’s good news for Lockheed Martin, Northrop Grumman, and other weapons contractors, but bad news for the rest of us. 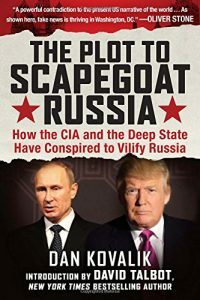 “The increase in Pentagon spending in the last two years alone is greater than Russia’s entire military budget. “The bill continues to waste billions of dollars on a new generation of nuclear weapons, part of the Pentagon’s planned $1 trillion-plus nuclear weapons buildup over the next three decades. 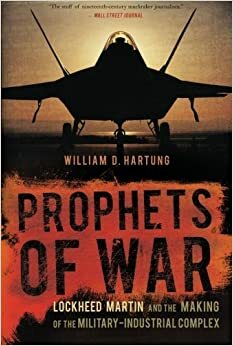 Even many advocates of nuclear deterrence acknowledge that other countries could be prevented from attacking the United States with a fraction of its current arsenal of over 6,000 warheads. And the only true way to protect us from nuclear weapons is to get rid of them altogether by supporting the global ban that passed the United Nations General Assembly last year. “All that love for the M1911 pistol led the Trump administration to OK the release of the weaponry from the Army’s ammunition depot in Anniston, Alabama to the CMP, also based in Anniston. The semiautomatic handguns are to be sold to the American public. The U.S. stands alone as the only nation that offers its warehoused military weapons for sale to the public. Prudent nations destroy antiquated guns. The CMP has been recirculating used rifles to the public since 1903, but this is the first time the agency will be selling handguns. 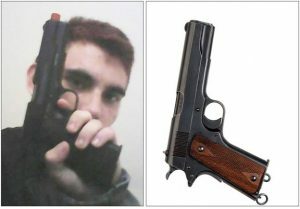 Soon, youth like Cruz will be allowed to purchase these extraordinarily lethal, semi-automatic weapons through the quasi-governmental CMP. Clarkson is senior research analyst at Political Research Associates, a think tank in Somerville, Mass. 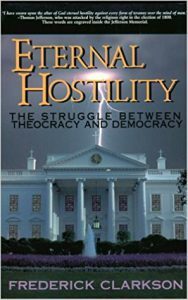 He is the author of Eternal Hostility: The Struggle between Theocracy and Democracy, and editor of Dispatches from the Religious Left: The Future of Faith and Politics in America. Clarkson said today in response to Trump’s just-released presidential proclamation commemorating Religious Freedom Day: “President Trump has joined the Christian Right in invoking religious freedom to justify its attack on the civil, human, and religious rights of others. “Trump commemorated Religious Freedom Day, January 16, by issuing a presidential proclamation that reinforces the Christian Right’s claim that religious freedom affords people the right to discriminate against LGBTQ people, as well as consent for federal agencies, departments, contractors, and grantees to discriminate in their employment practices. (As set forth in a recent guidance from the Department of Justice.) Trump also blurs the federal non-profit tax code that proscribes electioneering by tax-exempt groups, including churches. He suggests that this violates the religious freedom of those who bend and break the law.”When we hear politicians and religious or interest-group leaders go on about how religious freedom is a ‘cherished; or ‘treasured’ value, let’s ask them to get real. Religious freedom is not a lovely antique, a family heirloom, or a relic of a bygone era. It is a dynamic, progressive value that underlies every other constitutional freedom we have — and it is under siege. “A close look at the Virginia Statute for Religious Freedom, and its role in shaping our constitutional approach to religion and government, exposes the lie of Christian nationalism in a way that allows us to clear away the fog of the long, slow religious war they are waging in America. Thomas Jefferson and James Madison took a stand for religious equality for all — asserting that one’s religious identity would neither advantage nor disadvantage someone in their rights as a citizen. His work in this area was recently featured in a major article on Salon. He also recently published an interview with historian John Ragosta about the Virginia Statute at Religion Dispatches. Nevins is professor of geography at Vassar College. 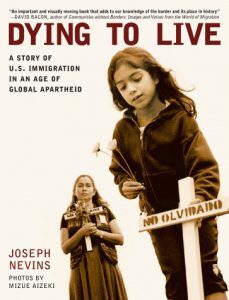 His books include Dying to Live: A Story of U.S. Immigration in an Age of Global Apartheid (City Lights Books). He said today: “The Trump Administration’s decision to end Temporary Protected Status for approximately 200,000 Salvadorans residing in the United States is abhorrent. In addition to being part and parcel of its war on immigrants (particularly low-income ones), it is a denial of U.S. responsibility for much of what drives Salvadorans to flee their homeland and makes life there unviable. The roots of El Salvador’s high murder rate, for example — it is one of the most dangerous countries in the world — lie in U.S. support for its right-wing government and the grossly unjust political-economic order it defended during the 1980s. During that decade, Washington helped fuel the country’s civil war by providing hundreds of millions of dollars in aid, and various forms of assistance to its brutal military. Moore is a senior fellow with the Carsey Institute at the University of New Hampshire. He is a former vice president of the Gallup Organization and managing editor of the Gallup Poll, where he worked from 1993 until 2006. 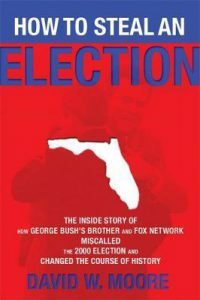 His books include How to Steal an Election: The Inside Story of How George Bush’s Brother and FOX Network Miscalled the 2000 Election and Changed the Course of History. Moore is now polling director at iMediaEthics, where he recently wrote the piece “Why Fox News is reinventing the exit poll for Tuesday’s election — and why we should be wary,” which states: “Last Thursday, the Washington Post reported that Fox News Network has decided to conduct its own exit polls for Tuesday’s election contests. This does not sound like good news. “Let’s get this straight: It’s not that NEP made predictions that were incorrect, but that it made the predictions ‘late’ on Election Day. And Fox wants to make the predictions earlier. “Why? Who is served by a rush to judgment? After all, the election winners will be announced as soon as all the votes are counted. So, how important is it to predict the winners earlier in the evening? The answer: Not important at all. At least to the citizenry. “The last time Fox decided to make a similar rush to judgment was in the 2000 Election, when — at 2:30 in the morning after Election Day — it projected George W. Bush the winner in Florida. This projection caused all the other networks to follow suit, only to rescind the projection two hours later. Is the Democratic Party Anti-Democratic? The Democratic National Committee’s Unity Reform Commission holds its final meeting in Washington, D.C. Friday and Saturday. C-Span is now carrying proceedings live. Among the groups signing the letter: Center for Popular Democracy Action, Courage Campaign, CREDO Action, Demand Progress Action, MoveOn.org, National Nurses United, NDN, Other98, Our Revolution, Presente Action, Progressive Change Campaign Committee, Progressive Democrats of America, RootsAction.org and Social Security Works. Gallegos, a civil rights attorney and Democratic Party ward chair based in Albuquerque, is the author of the Autopsy report’s “Democracy and the Party” section. Bernal chairs the Progressive Caucus of the California Democratic Party. She wrote the section on social movements in the Autopsy report and co-wrote the section on the future of the Democratic Party. 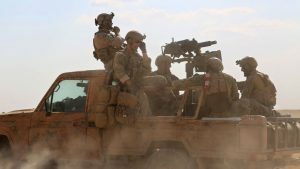 Trump Backing Away from CIA in Syria? He said today: “The problem with funding non-governmental fighting groups in Syria has always been one of shifting alliances and also the capture of U.S. war materiel by hostile terror groups. President Obama was leery of getting more involved in the chaotic, multi-sided civil war in Syria for exactly this reason. Yet he did fund and arm groups against the Assad government and also groups going after ISIS. Hartung is the director of the Arms and Security Project at the Center for International Policy. 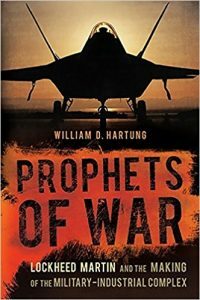 He is the author of Prophets of War: Lockheed Martin and the Making of the Military-Industrial Complex. “Pentagon spending is one of the worst possible ways of creating jobs. Much of the money goes to service contractors, arms industry executives, and defense consultants (also known as ‘Beltway bandits’), and what does go into the actual building of weapons systems underwrites a relatively small number of manufactured items, at least when compared to mass production industries like automobiles or steel. “If Trump really wants to create jobs for his base, he should obviously pursue infrastructure investment rather than dumping vast sums into weapons the country doesn’t actually need at prices it can’t afford.